Baby the cow and the calf who is always at her side seem like a very normal mother and child combo, but they aren’t. 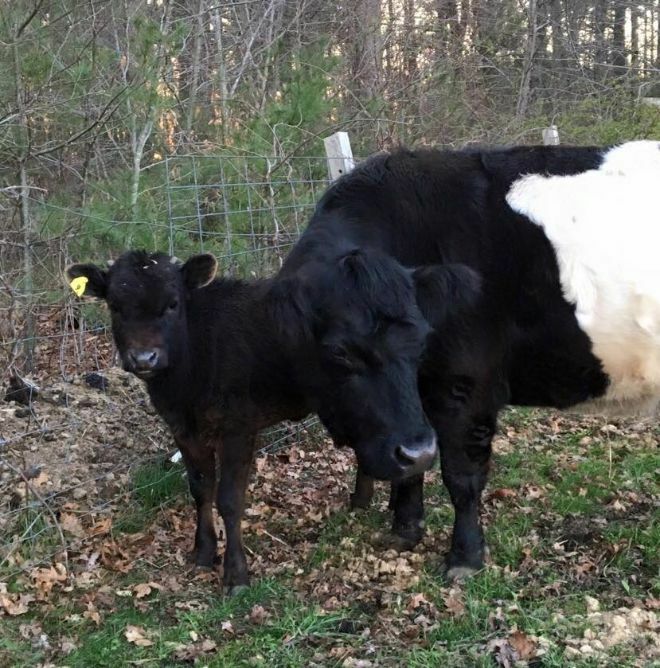 Baby and the calf are friends brought together by circumstance and the Don't Forget Us Pet Us animal sanctuary in in Dartmouth, Mass. Baby is blind. 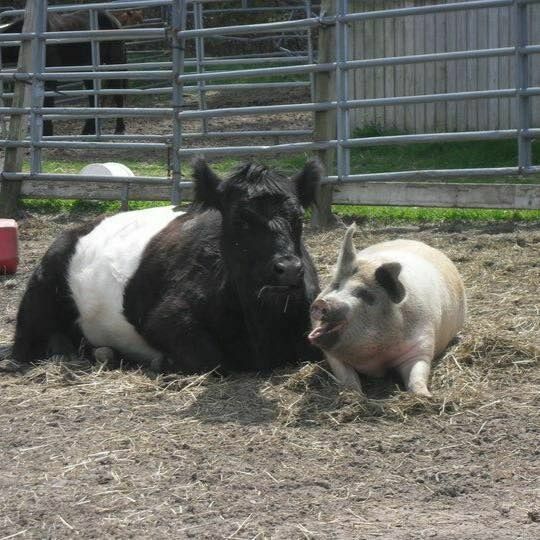 Her first friend at the animal sanctuary was a pig named Lulu, according to The Dodo. Even though Lulu and Baby were different types of animals, the pair went everywhere together and Lulu became Baby’s seeing-eyed pig. Deb Devlin from DFUPU said that perhaps the two ended up together because they both narrowly escaped becoming dinner because of their defects. "I had tried to pair her [Baby] up with other animals, and it just didn't work," Devlin said. "I didn't think the pig would be aggressive to the cow, and the pig was plenty sturdy. If the cow accidentally bumped into her, she [Lulu] would be OK."
When Lulu died, Baby was devastated. She would moo endlessly and bump into things. 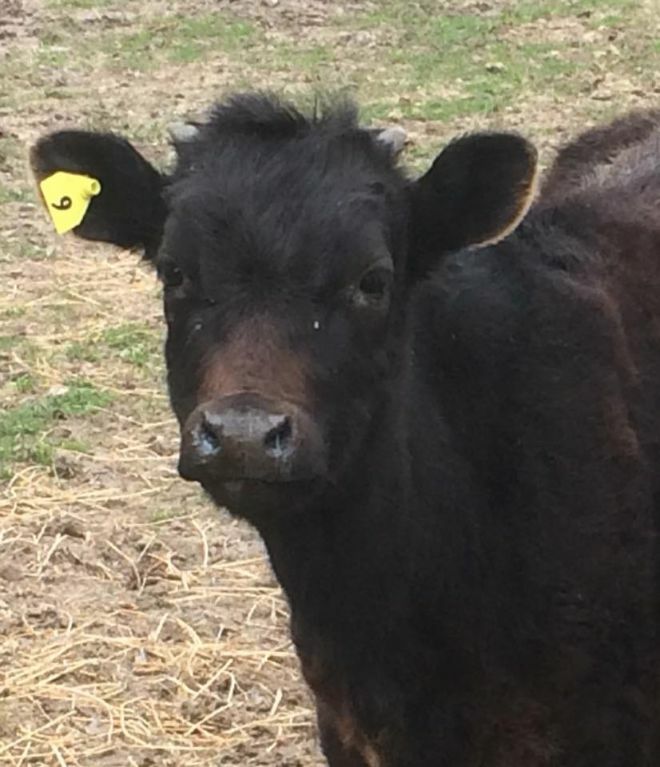 Not long after Lulu’s death, the calf came to the sanctuary. 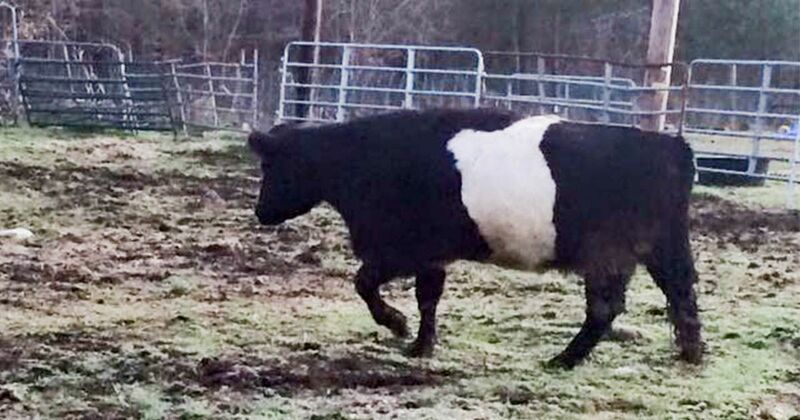 The calf had escaped from a slaughterhouse with two compatriots. The other calves died during the escape. The calf was taken back to the slaughterhouse where it escaped a second time. A woman who learned about the calf purchased it and ensured it was taken to DFUPU. When the calf saw Baby it ran to her. "She cleared a four-foot spread to get over [the gate]," Devlin said. Since that moment, the two have been inseparable. 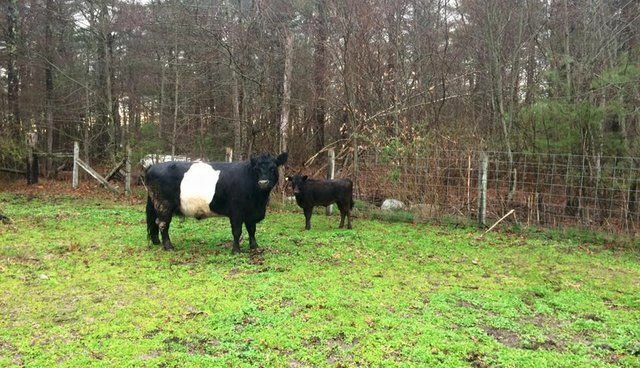 "I feel like Lulu was Baby cow's protector," Devlin said. "It's amazing to me to see this side of Baby — being this protector and nurturing and being all those things that Lulu was to her."